Nerf Club Philippines once again comes through with some Nerf News! 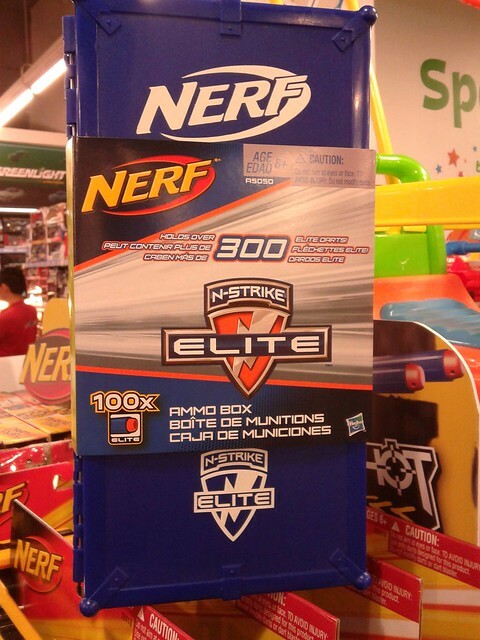 An “Elite version” of the ammo box has been spotted in certain Toys R Us stores there. N-Strike Elite Ammo Box – Blue repaint of the original N-Strike Ammo Box. Holds up to 300 darts. Comes with 100 Elite darts. Available now at all Toys “R” Us and Toy Kingdom branches in Metro Manila! I never got around to buying the original ammo box, but this once is looking quite snazzy. Blue is my favorite color, and my storage methods for darts have always been iffy as a player. I use plastic bags and only one cloth bag to transport darts to games haha. The original ammo box that came with Streamline’s suggested Retail price was $29.99 US. If this new Elite box is the same price, I feel like that’s a fair price. How much would you pay for this? 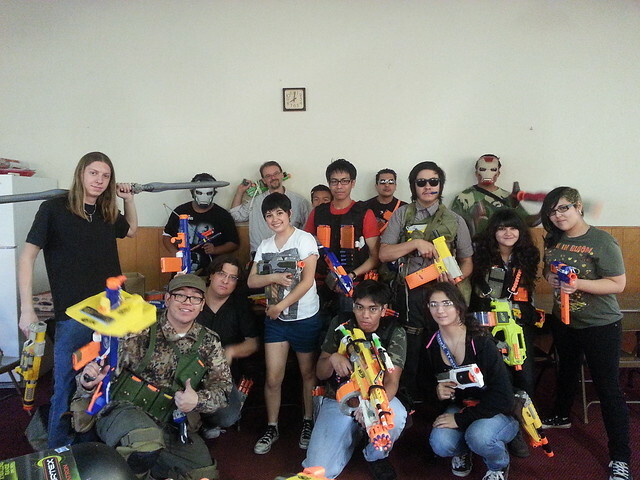 Thanks to Nerf Club Philippines once again. 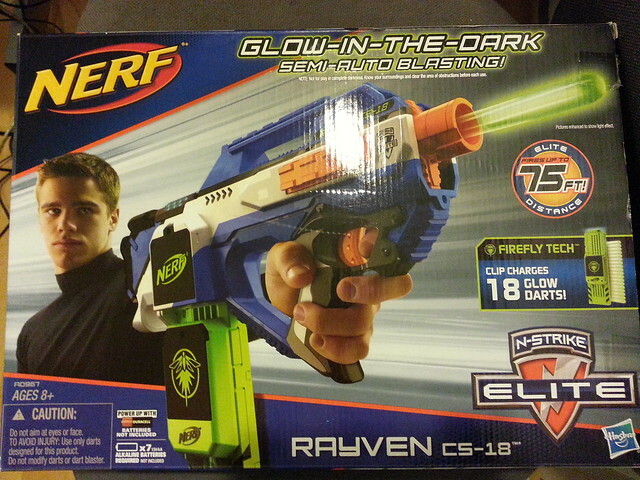 Back in late 2011/early 2012, Nerf released the N-Strike Rayven CS-18. After critical acclaim from both stock users and modders a like, it seems like it was an easy decision to bring the popular blaster into the Elite line a year later. The suggested retail price for the Rayven was $29.99 USD, while the suggested price for the Elite Rayven is $34.99 USD, about $5 more. Is this blaster worth the extra money? If I already own and like the Rayven, should I get the Elite one? I’ll answer those questions and more in this review. If your not familar with the original Rayven and it’s features, check out my review of the original Rayven CS-18 to keep up with this one. I won’t mention to many features about the Elite Rayven, since the old Rayven has the exact same outsides and shell as the Elite one. While on the outside the Elite Rayven only has a new (but good looking!) 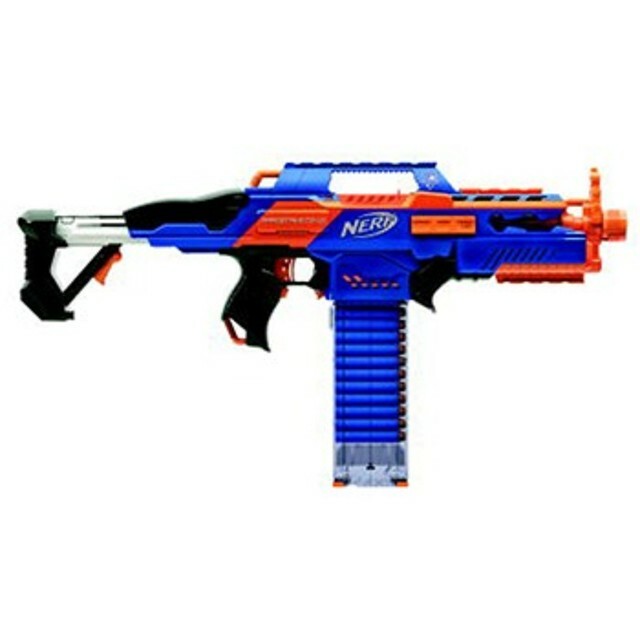 paint job, it has has small improvements over the original, which make a big difference in Nerf games. Keep reading to check out my Elite Rayven CS-18 review in full, complete with photos and videos showing it off in action. The first country to officially get the Rapidstrike is apparently the Philippines. 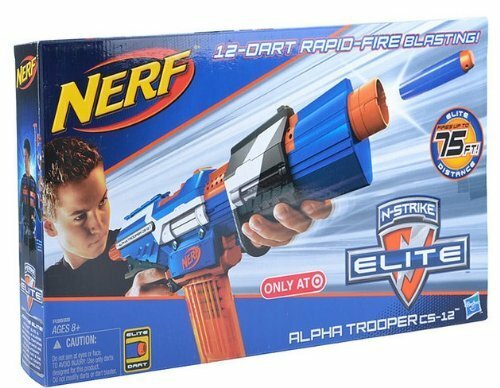 According to the Nerf Club Philippines Facebook page, it’s been released in Toys R Us’s and Toy Kingdom stores in the Metro Manila area. MSRP is supposed to be around Php 3,199.75, which converts to about $76 USD. Overseas prices are a bit skewered and overpriced depending on which county your in. Here’s a link to 3 photos as proof that it’s out in the Philippines. The next question of course, is when is the USA going to get it? I’ll my public relations contacts and see if, or when, they respond, and share the information with you. So I’m not going to post those leaked Rapidstrike CS-18 images, I’m pretty sure that Hasbro higher ups wouldn’t want them getting out even more. The blaster itself hasn’t been officially announced or acknowledged by Nerf, so far this whole thing is unofficial. April 17, 2013 EDIT: After asking the USA Public Relations Contacts for information on this blaster, they appear to not have any, or any to publicly share, at the moment. 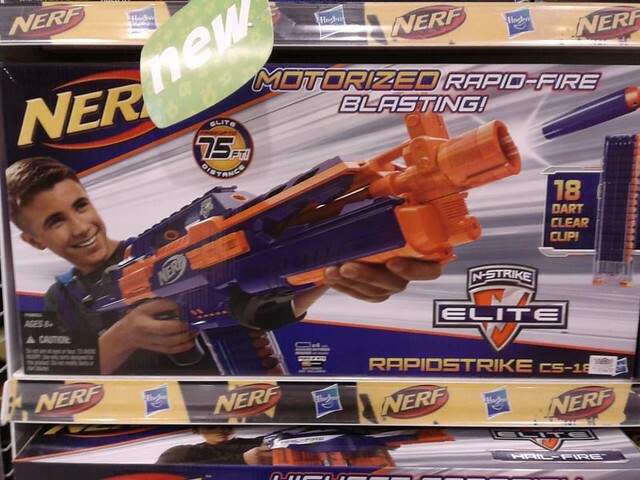 We might have an “unofficial” release date for this upcoming blaster though. Previous store listings Shops.Ch and Soundmedia.ch have put up the release date of August 30, 2013 on their listing for the item. These are overseas sites though, and I remember the USA got the Elite line first with a soft release date being around August 1 last year. I don’t recall when overseas markets started to get it, although something in feelings is telling me that they started to get it a month later. So if the date being listed is late August for the overseas market, could the USA get this around August 1? At the very least, can someone give a reminder on when the international markets, or their countries, started to get the Elite line back in 2012? 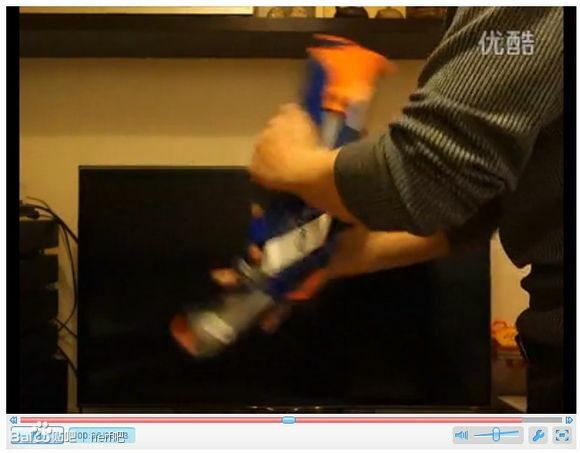 April 17, 2013 EDIT: Apparently fan blog UK Nerf spotted the Elite Rapidstrike CS-18 and Elite Mega Centurion on Ebay and purchased them. The seller made an error and will be shipping the orders to them at a later date. They said May 22 is when they receive their stock. Could June be a possible UK release date for this item? I for the life of me can’t figure out how to embed the video here. But a user recently figured out how to flip the Rough Cut like the Winchester 1887. You can view the video here. It was made very popular in Call of Duty Modern Warfare 2, but to be a different here’s a clip of Arnold Schwarzenegger doing it in Terminator 2. A group shot of the players, minus me, after the games. So I know this posted is going up a bit late, but better later then never as some say. On this Sunday, I invited some friends over to play indoors at my church for some Nerf action. Plenty of close quarters fast paced action. I used the Elite Rayven and Stryfe through the day. Here’s the gameplay videos that I got of the day and my input/mini commentary on each game. Our team gets great position early, and I manage to get 5 different people out, 3 of them on headshots. Our team didn’t get anyone out toooo early, and stayed pretty focused in staying alive and holding position. I strapped on my spare GoPro to an certain buddy of mine. She’s play in a couple of day long HvZ games, but never in a Nerf War. It’s interesting to see how composed she was, but she seemed to get a big case of tunnel vision and I manage to take advantage of an error of her’s to end the game. I switch to the Stryfe for the next couple of games. We rush and grab a pivotal position, and then spit out a bunch of foam at the other team when they get out in the open. Indoor games can go downhill fast. View the rest of the post to see 7 more videos from the day!